We are a small Japanese restaurant in Brooklyn, NY with a focus on seasonal domestic seafood and Mottainai philosophy. There are many sides to Okonomi. 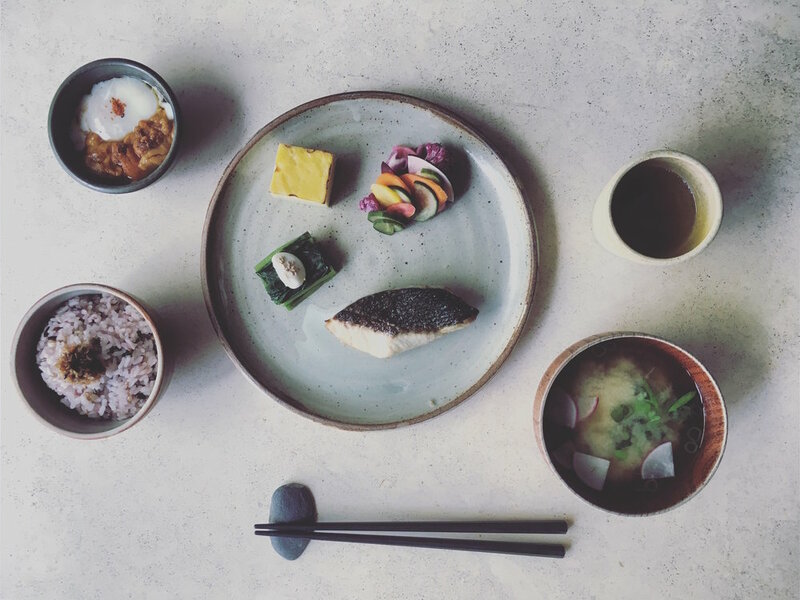 By day, Okonomi serves traditional Japanese ichiju-sansai set meals for breakfast and lunch. In the evenings, Okonomi becomes YUJI Ramen and offers an à la carte menu of seafood-rich ramen and mazemen. In all its various forms, Okonomi strives to embody the Mottainai philosophy of minimizing waste and appreciating what is given. We source our seafood from the Atlantic Ocean. We shop for produce from local farmer’s markets. We make our ceramics with an artist based in upstate New York. Our greatest challenge is to honor the life in what surrounds us. Okonomi and Yuji Ramen are walk-in only. Monday - Friday 9am to 2pm & 6pm to 11pm. Saturday & Sunday 10am to 4pm.